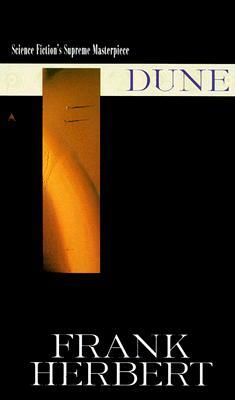 Selected in a readers' poll in 1975 as the greatest novel of imagination of all time, DUNE'S creation of a richly detailed world utterly unlike our own is only the beginning of its achievement. Arrakis, the desert planet called DUNE, is the home of the unforgettable family Atreides, the splendid Fremen people, the awesome sandworms … creatures so huge that one might swallow a hundred men in a gulp. Dune is the source of brilliant survival techniques devised by the desert dwellers, the focus of political intrigues of exquisite subtlety, and the nexus of a centuries-old plot to create a superbeing.